When I was a young man I disliked children because they appeared noisy and messy. My few experiences with children over the next ten years did little to change this opinion. Uncomfortable with chaos, I focused on things that I could do well and cleanly: work, for instance, or writing, or folding laundry, or living in the glacial stillness of my own mind. I felt satisfied with my labor and content with the fences I had constructed to keep children from trampling on my intellectual azaleas. Like many young men, I misbelieved that control of my environment meant that I was in control of myself. It was, as you can tell, a life needful of disruption. The first glimpse I had of Oliver was the tiny thatch of hair on the top of his head. It wasn’t even his whole head–let alone his body–just a wet patch of hair and my universe exploded. Everything about him seemed soft and vulnerable and perfect. He cried, and I didn’t mind it. He pooed and I burbled with pride. I changed his sticky tar of meconium and felt as Armstrong must have felt stepping onto the moon. This is easy, I thought, when all I feel is love. Now I have two of them and it is no longer easy. Gone are the days of chest cuddles and tiny swaddles and strangers oohing at toes the size of capers. I can remember when I read books. I remember when I left the house and got into my car and drove out the driveway in less than a minute. I remember when I could stay on the toilet with the door closed, silent and content. I remember life without strollers or diapers or Goldfish. Schools of Goldfish–whole pods of Goldfish swarming in the darkest recesses of my SUV. These children, my children, have changed everything. When I was a young man I disliked children. But what I really disliked was myself. Disruption is a gift. The noisiness, the messiness–these are crowbars that lever me open in ways that undo me. 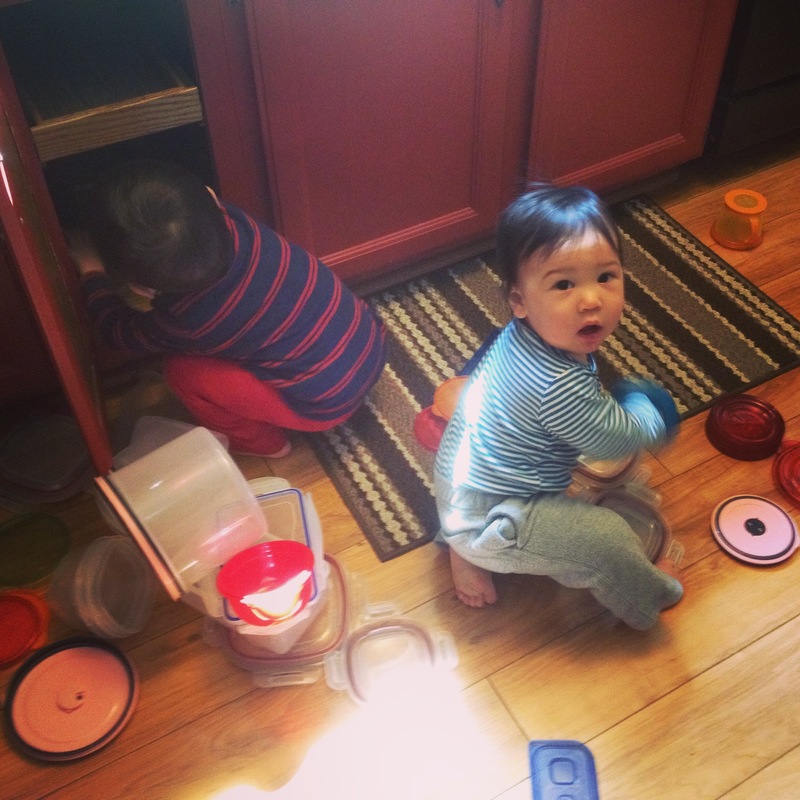 My boys make me see life in ways that I had forgotten. In richer, deeper ways. I am confronted every day with my inner workings. My own mess, my own chaos. Through these children I have become sometimes nastier, yes, sometimes angry, true, but also more loving and more authentic. I realize that I have little control over my environment but a lot of opportunity to change myself. And that gives me hope. It is a beautiful thing to have your life disrupted when the trampling is done with love. 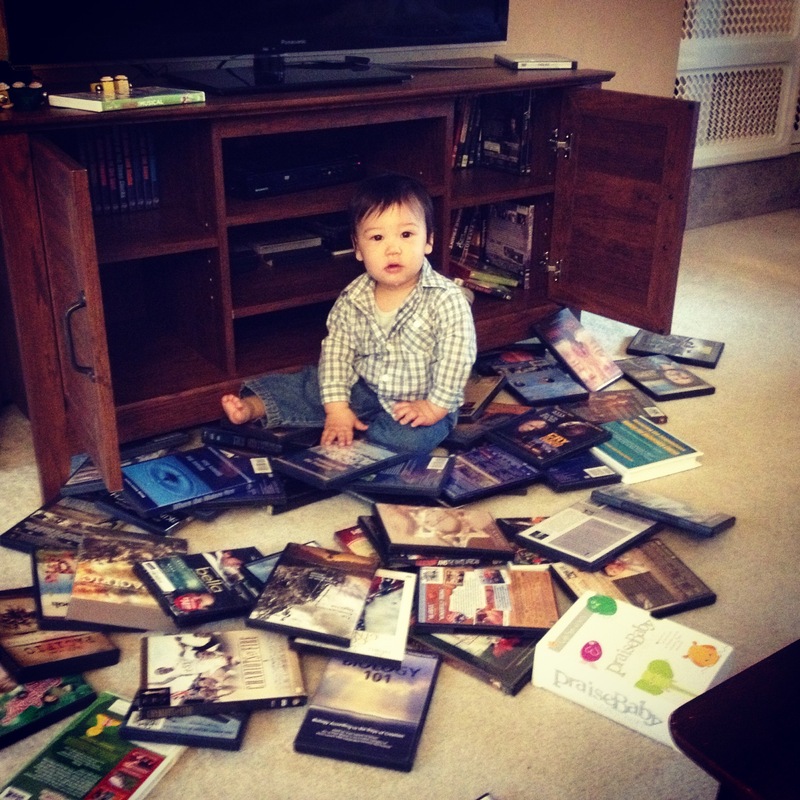 It is a great gift to invite messiness into your life when that messiness is a child. In high school I envied the popular kids who went skiing and owned puffy jackets in primary colors. I wanted such a coat. Further, I believed that owning such apparel would mean that I had arrived. When the LL Bean catalogue appeared in our mailbox, I snatched it up to my room and sat in the sun turning pages and wishing that I were in them. That I was one of those beautiful people with ski goggles and perfect smiles and two Golden Retrievers on a plaid mat by the fire. 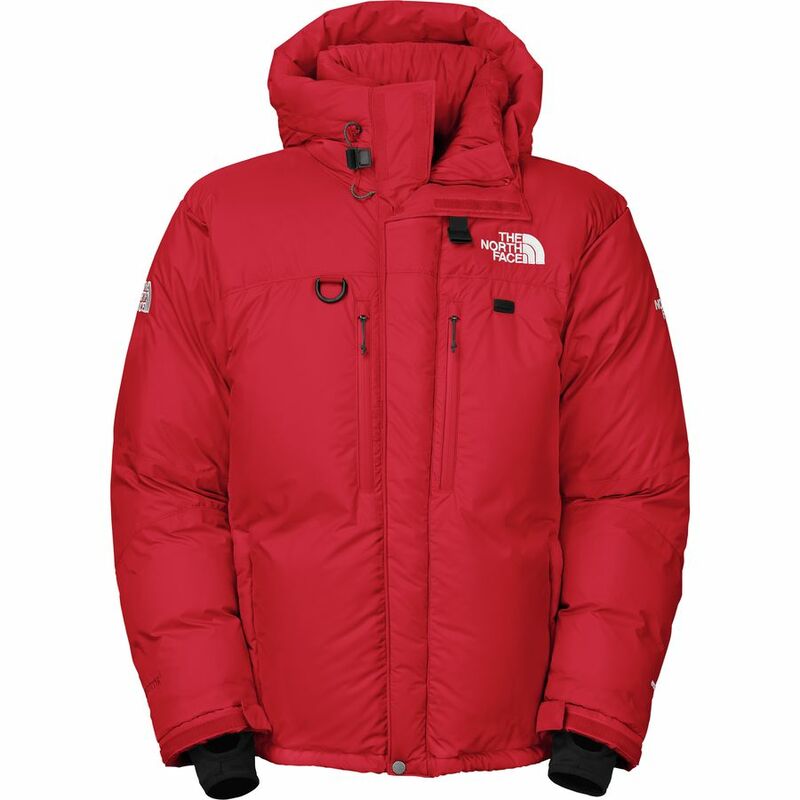 The North Face Himalayan Jacket, intended for use on Mount Everest. Seriously. Perfect for suburban living. Photo via North Face. Once home, I zipped up the jacket and went out to shovel snow. It was twenty degrees with a wind chill. Still I felt hot. I rolled back the hood. Burning. I unzipped the front. Steamy. With growing alarm I realized that my prized jacket was too warm to use. I shrugged it off and threw it on a snow bank. I felt like a fool. The jacket followed me to college in Indiana, not because I planned to use it, but because it was an integral part of my self-deception that stuff could make me feel valuable. During a chapel series on helping the poor, the speaker initiated a clothing drive. Each dorm should put boxes in the halls to collect jackets for the needy. I opened my small closet and saw the puffy North Face coat. I stripped it from its hanger and dumped it in the nearest cardboard box. I had worn it exactly once. For each of us, I think, there is a red puffy jacket that symbolizes we have arrived. A flashy car, a better job, a tiny dress size or a large promotion or an attractive life partner, any one of which we think will make us feel content. Contentment comes from within. It comes from knowing our place in the world and loving God and our neighbor. Contentment cannot be found on a North Face rack anymore than it can be found in the pages of an LL Bean catalogue or at a wedding altar or at the bottom of a gallon of Cherry Garcia ice cream. Whatever your jacket is, let it go. God says you are valuable today. Right now. In the mess. In the debt. In that sucky job or that fractured relationship or that anxiety disorder that just won’t relax. There’s work to do, for sure, and we all need to grow and change, but God cannot love you any more and he will not love you any less. No matter what. He’s promised. So throw that puffy jacket in a box and look around at the world–your world–that needs you. There are things that only you can do. There is love that only you can give. There’s a God who adores you right now. It’s a wonderful thing to live in that love.